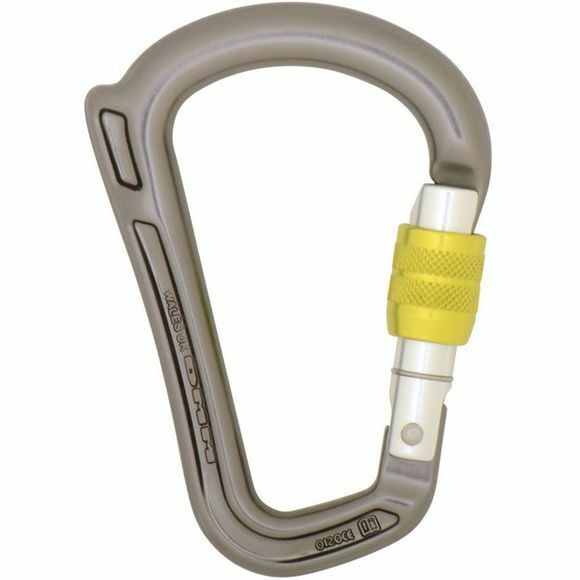 After observing how sport climbers were modifying their belay biners with rubber bungs to prevent cross-loading with certain belay devices, DMM came up with a cleaner, simple, solution. The horn prevents locking assisted devices rotating off the top bar and on to the spine reducing the risk of cross loading, it also works well with selected DMM pulleys. The Rhino is not restricted to locking assisted devices: it also works brilliantly with standard devices. The full cross section of the top bar means greater wear resistance, and smooth operation in guide mode usage. 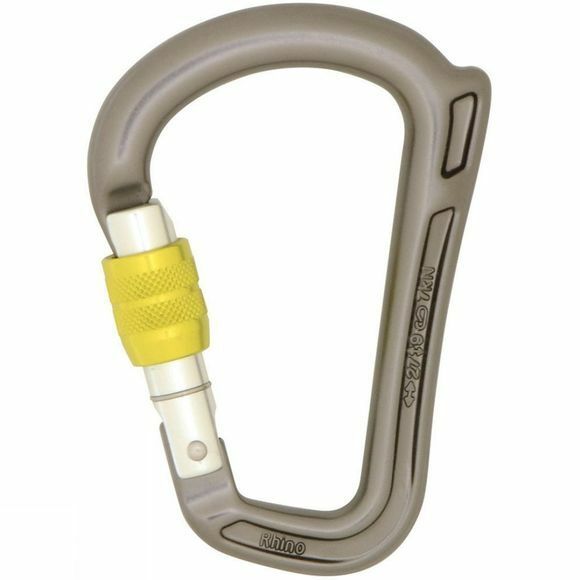 The horn makes identification by feel on the rear gear loop easier, and the clean nose design provides snag-free loading and unloading of ropes. The big burly top bar is contrasted by DMM's signature I-Beam construction on the non-rope bearing surfaces resulting in a total weight of just 72g.